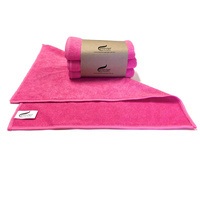 Cleans hard surfaces so you don't have to! 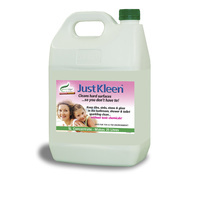 NEW Green2goTM JustKleen® cleans hard surfaces - so you don't have to! 1L Concentrate pack, provides 5 litres when diluted. Dilute 1 part product, to 4 parts clean cold water, in a clean atomiser. Also available in 750ml Ready-to-use trigger pack. See Specifications tab for Directions. Not suitable for food preparation surfaces. tap wear & glass. Leave to air dry. 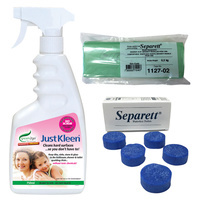 BENCHTOPS, TILES, TOILET SEAT & BOWL - Spray onto surface & wipe with a clean cloth. Spray again & leave to air dry. The active bacteria needs time to become active. So results may take 4-6 hours. Stubborn stains on grout can then be wiped away with a clean microfibre cloth. Repeat weekly for prolonged & sustained results. 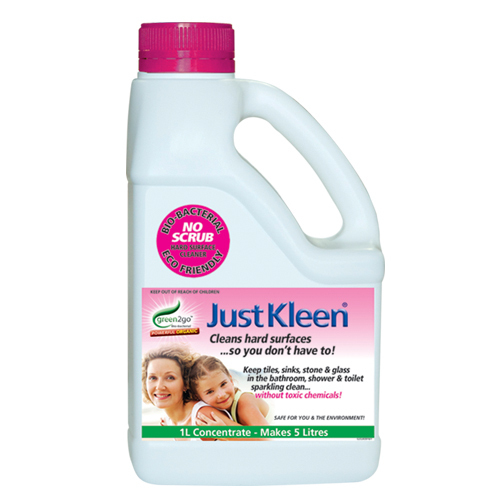 The more you use JustKleen®, the cleaner the surfaces will become! 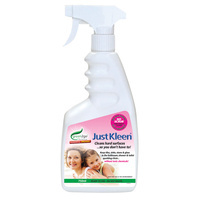 DO NOT MIX WITH CHEMICAL CLEANERS OR WIPES - THEY WILL DESTROY THE NATURAL, ACTIVE BACTERIA IN Green2go® JustKleen®.